New deal provides greater legal protection and cuts custom red tape. Investors in China and Taiwan are promised equal, if not preferential, treatment. In case of arrest, police must inform families and companies on the other side. In Taiwan, people protest deal fearing mainland colonisation of the island. 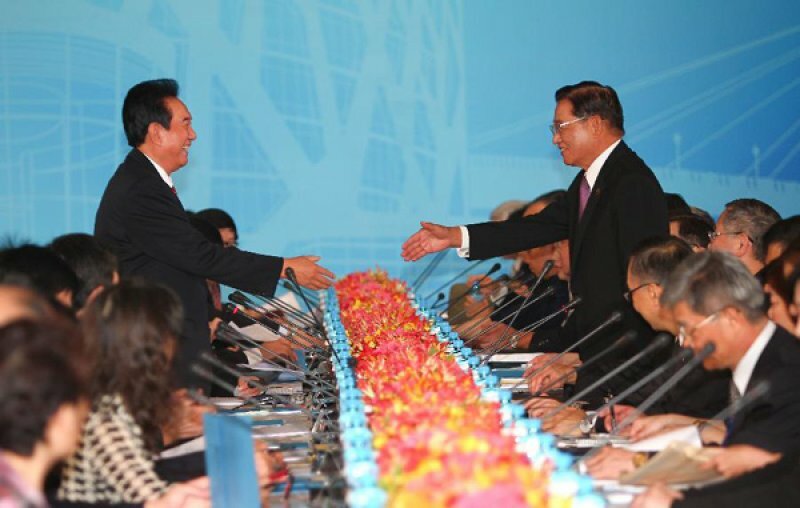 Taipei (AsiaNews/Agencies) - China and Taiwan signed a landmark investment pact on Thursday. The agreement cuts red tape at customs and includes safeguards against sudden expropriation of property. It also gives individual investors some protection in the case of legal trouble with authorities. Outside the venue where the deal was signed, hundreds of protesters demonstrated against Beijing's possible colonisation of the island. Beijing's chief negotiator Chen Yunlin and his Taiwanese counterpart Chiang Pin-kung inked the long-awaited deal, which will provide a legal umbrella for Taiwan companies in the mainland should they face the authorities or possible seizure. Chen and Chiang also signed a cooperation pact to speed up customs procedures in the hope of boosting two-way trade. In the agreement, the mainland and Taiwan promised to provide equal, if not preferential, treatment for investors from both sides. In cases of Taiwanese nationals working for a Taiwan-invested company on the mainland, mainland police will be required to inform his or her relatives of the detainment within 24 hours. The same rules will be applied to Taiwanese police. The new deal comes in the wake of agreements signed in 2010 that improved trade relations, two-way tourism and investments. Not everyone in Taiwan likes the deal. Barbed wire and about 1,300 police officers were deployed around the meeting venue where the two delegations met to keep at bay about 700 protesters. Many Taiwanese are afraid that Taiwan's reliance on the mainland could become too much. Used to democracy, they are concerned about the dictatorial nature of China's government. Relations between China and Taiwan improved in 2008 with the election of Ma Ying-jeou as president, who began a policy of rapprochement and friendship with Beijing after the turbulent years of pro-independence President Chen Shui-bian. The mainland is Taiwan's largest trade partner, and more than 80,000 Taiwanese companies now operate on the mainland, where they have invested more than US$ 100 billion over the years.